Skating is fun for everyone, and a great time for the whole family! We offer both rollerblades (inlines) and roller skates (quads) for rental, as well as special toddler and youth training skates. Challenged in your skating ability? 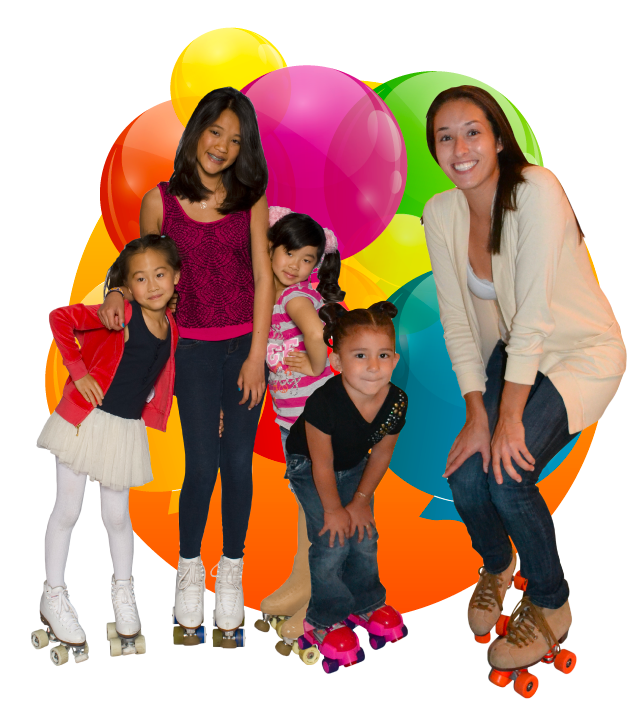 We offer SkateMate rentals to assist those just learning or those who need a little assistance balancing on wheels. With loads of public skating hours each week, plus fun special sessions like Adult Night and Christian Music Night we’ve got something for everyone. Don’t miss the favorite Tiny Tots session every Thursday morning for those age 6 and under. It’s a special time for the toddlers to skate, bounce, play in the playground, hop on riding toys, and play along with interactive games. It’s a blast!